Small businesses continue getting loans approved by big banks, and in record numbers. Hitting its highest point since the end of the Great Recession, the loan approval rate for small businesses at big banks reached 21.5 percent in February. That’s according to the February 2015 Biz2Credit Small Business Lending Index. 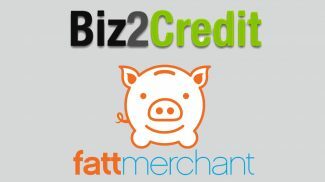 The index is based on a monthly analysis of 1,000 loan applications on Biz2Credit.com. 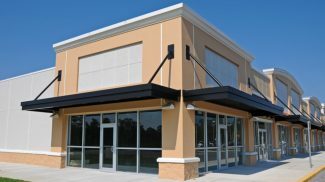 The platform seeks to connect small businesses with potential lenders. The approval rate at big banks for small business loans jumped two-tenths of a percent from January to February. January’s rate of 21.3 percent had been the previous post-recession high. A higher loan approval rate for small businesses at big banks has become a trend. In the last year, 11 of the 12 months saw this loan approval rate increase. Compared to small business loan approval rates in February 2014, this represents a 12.5 percent increase. More small businesses are seeking out loans from so-called institutional lenders, too, the Biz2Credit data continues to find. In February, these institutional lenders approved 60.7 percent of the loan applications they received from small businesses. That’s up from 60.5 percent in January. And since the beginning of 2014, when Biz2Credit created a special category for institutional lenders, this rate has continued to climb. But also apparent from Biz2Credit’s data over time, small businesses are not finding similar fortunes at small banks. Once again, small banks were declining more than half the loan applications they received from small businesses in February. That is the fourth consecutive month that this rate has dropped below 50 percent. 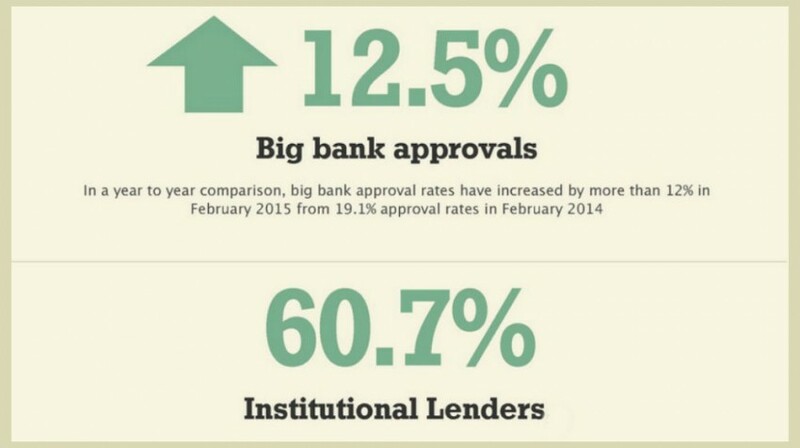 Last month, smaller banks approved 49.6 percent of the loan applications they received. That’s level with January’s figure but Biz2Credit notes that this rate has been in decline since May 2014. Small businesses will always be the one of the top borrowers in the country. But this may also mean that the approval rate has also gone higher than before. Traditional “big bank” lenders still are declining 4 out of 5 business loans for small businesses. 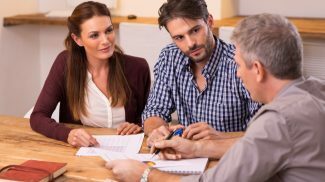 That is one of the reasons that lenders are filling that void with non-traditional options. Options that can provide funding for healthy businesses but that may fall in that 80%. Pingback: SMB Lending on the Rise, Can Tax Deductions Be Overdone?